“Collision” – John Doe holds Dr. Maria Benavidez hostage as an unknown entity continues to blindly lead him to an undisclosed location, and Claire and Wes further their investigation into John Doe’s past whereabouts and begin to uncover what his next target is, on “The Whispers,” MONDAY, JUNE 15 (10:01-11:00 p.m., ET) on the ABC Television Network. 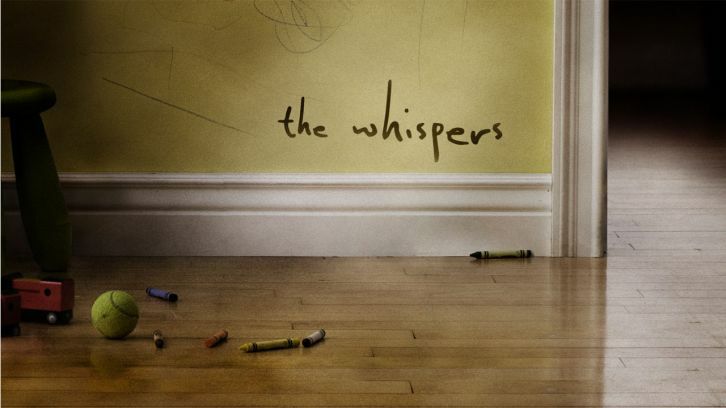 “The Whispers” stars Lily Rabe as Claire Bennigan, Barry Sloane as Wes Lawrence, Milo Ventimiglia as John Doe, Derek Webster as Jessup Rollins, Kristen Connolly as Lena Lawrence, Kylie Rogers as Minx Lawrence and Kyle Harrison Breitkopf as Henry Bennigan. Guest starring are Catalina Denis as Dr. Maria Benavidez, Abby Ryder Fortson as Harper Weil, Autumn Reeser as Amanda Weil, Alan Ruck as Executive Director Alex Myers, Preston Barkwell as Jackson Bellings, Jamison Jones as Harrison Weil, Dee Wallace as Willie Starling (Grammy), Catherine Lough Haggquist as Renee, Adrian Hough as Dr. Rosen, Hiro Kanagawa as Brent (team member 1), Morgan David Jones as Miguel (team member 2), Jessica Harmon as Willa (team member 3), Riyaz Janif as store owner/Hamal, Camilla Mahal as Nathifa, Peter Kawasaki as checkout clerk, Giacomo Baessato as technician 1 and Jean Maclean-Angus as technician 2. ”Collision” was written by Dean Widenmann and directed by Charles Beeson.